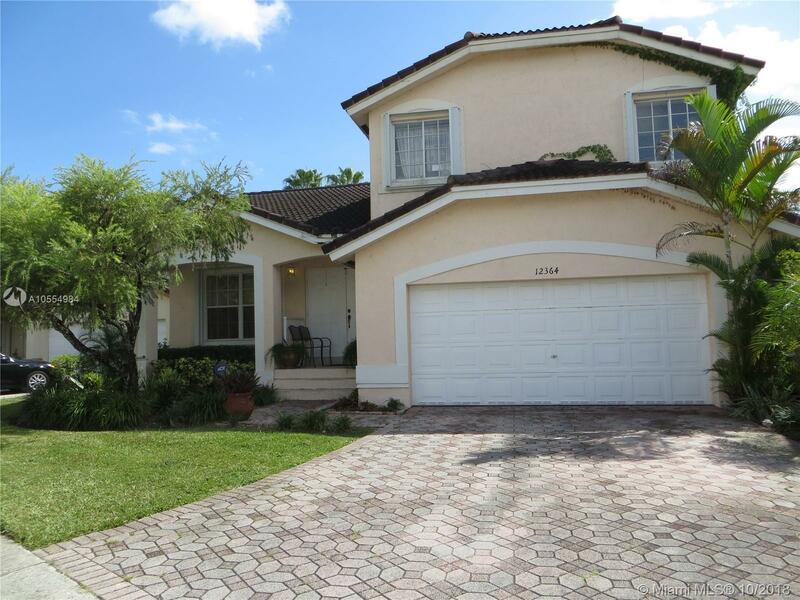 Beautiful 2 Story Single Family 3/2.5 Home in Four Lakes at Bonita Lakes! Walk into this home to a large living dining area with high ceilings for entertainment. Eat in kitchen with bay-window and breakfast bar overlooks large family room with large half bathroom. Large kitchen and family room open concept will keep your guests in a cozy atmosphere. Family room has 2 large sliding doors that take you out to a tranquil fenced back yard to enjoy coffee and a nice book to read. Wide stairs to the second floor take you to a spectacular master bedroom with roman tub and large walk-in closet, 2 guest bedrooms and 1 bathroom. 2 car garage with space to park 2 more cars on driveway. Gated community with pool and more. Close to Turnpike, Metro Zoo, shopping, etc.